Trexin partnered with a $3B high-growth life and annuity company to work across their new business area. 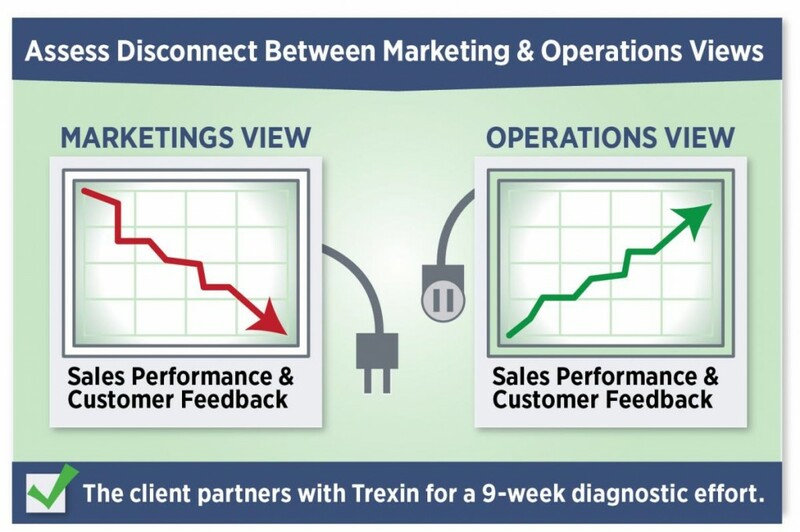 A joint client/Trexin team performed a fast-paced, 9-week diagnostic and roadmap effort. Activities included 20+ interviews, collection of business and process metrics, in-flight assessments, a JIT customer service NPS survey, capture of industry benchmarks, and an x-functional discovery “one set of facts” workshop. Root-cause and gap/solution workshops included leaders and staff across all 19 work groups. A data correlation POC illustrated the value of time-phased analysis of customer service feedback and operational service levels (time, cost, quality). Finally, a 14-stream, stepwise corrective action roadmap was developed, reviewed, and resourced.